and Chickpet, all inside the fort. Today, these little areas serve as the major wholesale and commercial market places in the city. Kempe Gowda’s son erected the four watch towers to mark the boundaries of Bangalore which are traceable even today and they stand almost in the heart of the present city. IIn the year 1638, Shahajirao Bhonsle, father of Shivaji, captured the city. In 1687, Aurangzeb’s army captured Bangalore and sold it to the Wodeyars for a paltry sum of Rs.300,000. The Wodeyars then built the famous Lal Bagh in 1759, one of Bangalore’s most beautifully laid out gardens. In the same year, Hyder Ali received Bangalore as a jagir from Krishnaraja Wodeyar II. He fortified the southern fort and made Bangalore an army town. When Tipu Sultan died in the 4th Mysore war in 1799, the British gave the kingdom, including Bangalore, to BangaloreKrishnaraja Wodeyar III but the British resident stayed in Bangalore. In the beginning of the 19th century, the General Post Office was opened and the Cantonment was established nine years later in 1809. In 1831, alleging misrule by Krishnaraja Wodeyar III, the British took over the administration of the Mysore Kingdom. Under the British influence, Bangalore bloomed with modern facilities like the railways, telegraph, postal and police departments. The first train was flagged out of the city in 1859 and five years later in 1864, the lovely Cubbon Park was built by Sankey. 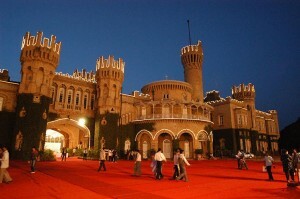 The end of the century saw the building of Attara Kacheri and the Bangalore Palace. The 20th century saw the arrival of the first motorcar in the city. In 1881, the British returned the city to the Wodeyars. Dewans like Sir Mirza Ismail and Sir M Visveswaraya were the pioneers to help Bangalore attain its modern outlook. From then on, the city has grown in magnitudes, emerging into what you see and know of today. Bangalore is India’s fifth largest and the fastest growing city in Asia. By Air: Bangalore international Airport, known as ‘HAL Airport’ is situated on Airport Road about 6km from the city centre. A busy Airport with over 70 international and domestic flight landings everyday, this airport is divided into three terminals. Terminal I contain the Departure lounge for the Domestic Flights and Terminal II is for Arrival of Domestic Flights.Indian Airlines and private carriers operate regular flights from Delhi, Bombay, Calcutta, Madras, Trivandrum, Hyderabad, Goa, Kochi, Ahmedabad and Mangalore. International Terminal handles Departure and Arrival of International flights to and form Singapore, Dubai, London, Oman, Hong Kong and Saudi Arabia. By Rail: Bangalore is connected to all major Indian cities by rail. Several super fast trains such as Shatabhi, Bridavan, Lalbagh express connect Bangalore to Chennai. The City Railway Station is the main terminal in Bangalore. By Road: Major National Highways connects Bangalore to Chennai and Mumbai. Other cities and towns of the state andBangalore neighboring states are also connected by road. The Main bus terminal in the city is opposite City Railway Station. Culture: Bangalore’s rich cultural heritage combined with its technological and industrial achievements has made it one of India’s most happening cities. corporate activity has attracted people from all over as bees to the honeycomb. It has become a melting pot for many cultures giving it a rich cosmopolitan character. The city offers something for every one-recreation areas, pubs and magical nightlife, quick getaways and big shopping malls, thriving arts and entertainment scene. It has become the style capital of the country in a true sense. Bangalore’s fancy restaurants dish out everything from Mexican to Polynesian fare with cool and sunny skyline playing perfect host. Shopping in Bangalore: Shopping in Bangalore is a wonderful experience. 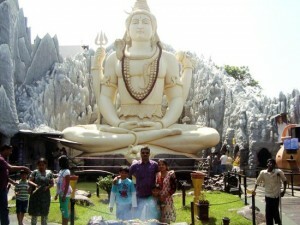 Bangalore is a city where one would find a wide array of shopping markets, malls and plazas. There is hardly anyone who would not like to step into one of these shopping points. Shopping has always been an in thing. Some of the most well known places for the shopping freaks are the Brigade Road, Commercial Street and the MG Road. Brigade Road is full of young crowd mostly college-goers. What more than shopping in branded stores like Lee, Van Heusen, and Louis Philippe? There are also shops available where one can get trendy shoes and junk jewelries. Besides you will get brasswares, wooden furniture, antique jewelry, printed fabrics, saris and other cool stuffs. Commercial Street is famous for shopping colorful clothes and dress materials other than fashionable jewelries. One Bangalorecan also look in for shoes, art supplies, travel kits, sports, etc. Westside is a very famous shopping joint. At MG Road there are famous sari emporiums like the Deepam Silks and Prasiddhi. If you are looking out for brands, there is the Raymonds and Cotton World. For the bookworms, Gangaram and Higgin Botham is there to help you out. Jamal’s is a well-known store for buying utensils and crockeries. Besides, the shopping centers like Shrungar Shopping Complex, Barton Court, Spencer’s Super Market, the Coir Board Showroom, Kids Kemp, Saree Kemp, Cauvery Arts can also be found over here.